A reconstructed discontinuous Galerkin (rDG) method is applied to solve the compressible Navier-stokes equations, in Eulerian, Lagrangian, and arbitrary Lagrangian-Eulerian (ALE) formulations, respectively. In the Eulerian formulation, a non-linear solver called the non-linear Krylov acceleration (NKA) is employed to both steady and unsteady compressible flows, and its performance is compared with the traditional Newton-GMRES solver. Then a rDG-ALE formulation is derived which satisfies the Geometric Conservation Law (GCL). One of the features of this formulation is that the basis functions are defined on the time-dependent physical domain. Finally a Lagrangian formulation in the context of the rDG method is proposed and used to simulate the Lagrangian gas dynamics. Two nodal Riemann solvers are tested under this formulation. The results demonstrate that the rDG method is a promising approach for solving compressible flows with all the three formulations. Chuanjin attended Xi’an Jiaotong University, Xi’an, China, and graduated in 2009 with a BS in thermal energy and power engineering. 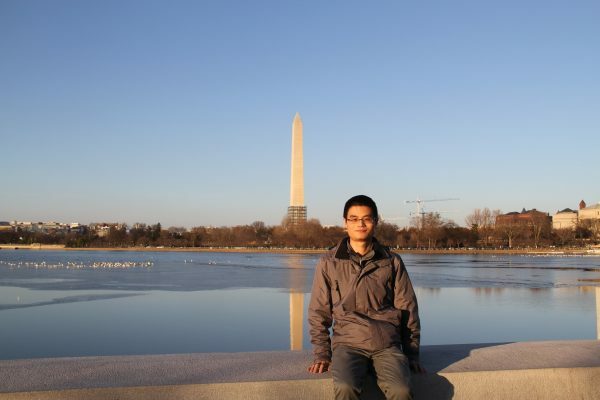 After graduation he decided to continue his graduate study in Xi’an Jiaotong University and earned his MS degree in power machinery and engineering thermophysics. In 2013 he was accepted as a PhD student in aerospace engineering at North Carolina State University under Dr. Hong Luo. His research interests include reconstructed discontinuous Galerkin method, non-linear Krylov acceleration, Lagrangian gas dynamics, and Arbitrary Lagrangian-Eulerian formulation.